The journalist, Jurgen Todenhofer (75), released his findings in a book called "Inside IS - Ten Days in the Islamic State," reports the UK's Daily Express on Friday. Todenhofer, who previously was an MP in German Chancellor Angela Merkel's CDU party before turning to journalism in 2000 as a war reporter, spent ten days with ISIS. He was overseen during his visit by "Jihadi John," the ISIS terrorist from the UK named Mohammed Emwazi who gained fame in gruesome beheading videos. According to the journalist, the West is unprepared for ISIS. He writes that "the terrorists plan on killing several hundred million people. The west is drastically underestimating the power of ISIS." ISIS intends to get its hands on nuclear weapons, says Todenhofer, calling the group a "nuclear tsunami preparing the largest religious cleansing in history." Those warnings are made all the more stark by the possibility of a nuclear arms race in the Middle East sparked by the Iran nuclear deal, with rival states such as Saudi Arabia eyeing their own nuclear arsenal leading to a higher proliferation - and a higher chance that nuclear weapons could fall into ISIS hands. Describing how he got the close-up expose with ISIS, Todenhofer detailed the intense negotiations with "the leadership of the Caliphate, via Skype, over several months, hammering out the security details." "Of course I'd seen the terrible, brutal beheading videos and it was of course after seeing this in the last few months that caused me the greatest concern in my negotiations to ensure how I can avoid this. Anyway, I made my will before I left." 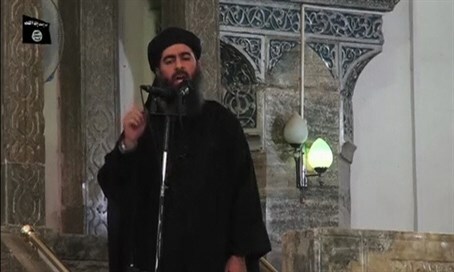 In speaking about the extent of ISIS's power, he noted, "they now control land greater in size than the United Kingdom and are supported by an almost ecstatic enthusiasm the like of which I've never encountered before in a war zone. Every day hundreds of willing fighters from all over the world come." "They are the most brutal and most dangerous enemy I have ever seen in my life. I don't see anyone who has a real chance to stop them. Only Arabs can stop IS. I came back very pessimistic." US President Barack Obama, after initially calling ISIS a "JV team" of Al Qaeda before they shot to power, admitted in June he has no strategy to fight the jihadist group.